The Quabbin Reservoir is one of only five major unfiltered drinking water supplies in the United States. It is part of the system that supplies water for more than 2.5 million residents in the Greater Boston area. While boat-based fishing is permitted in certain areas of the reservoir, the potential for those boats to introduce aquatic invasive species into the water supply is a real risk. That is why the Division of Water Supply Protection (DWSP), inside the Massachusetts Department of Conservation and Recreation’s Office of Watershed Management, takes pains to protect the integrity of the Quabbin Reservoir and ensure that the only boats allowed onto it are contaminant-free. Many of the Division of Water Supply Protection’s (DWSP) projects use Survey123 to capture data. It does this via a boat seal program, whereby boaters wishing to use the reservoir must have their boats inspected, decontaminated, and sealed to their trailers by an unbreakable piece of wire with a special, numbered tag that DWSP tracks in a database. Only boats that pass the inspection are given a seal signifying that they are contaminant-free, which allows them to launch on the reservoir. And when these boats return to land, they are given new boat seals that tag them to their trailers. Boats without intact seals are prohibited from launching. The boat inspection and decontamination program has historically relied on a combination of manual and paper-based workflows for scheduling inspections, maintaining seal data, and monitoring inspection activities. With about 200 boat inspections to perform each year, sustaining the various workflows throughout the entire process became inefficient. The program’s management team—DWSP director John Scannell, DWSP’s Quabbin and Ware River assistant regional director Lisa Gustavsen, and DWSP’s Quabbin and Ware River regional director Dr. Daniel Clark—sought a modern, digital solution for managing the boat seal program. They wanted to streamline the data, as well as all the manual processes DWSP’s environmental quality section was using to administer the master boater database. By implementing Survey123 for ArcGIS and the Survey123 Connector for Microsoft Flow, the Division of Water Supply Protection (DWSP) realized a 137 percent initial-year return on investment in labor costs for its boat inspection program. 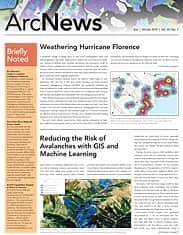 After attending the 2018 Esri User Conference and regional user group meetings, Tefft learned about Survey123 for ArcGIS, a formcentric solution for creating surveys, collecting answers, and analyzing results. Survey123 was perfectly suited to capturing the tabular type of data required for boat inspections. In addition, the Survey123 Connector for Microsoft Flow would allow surveys to be configured so that when submitted, a trigger would initiate an automated action, such as sending specific data to the Google Calendar and Google Sheets DWSP uses. For the boat seal program, Tefft designed two Survey123 surveys that together replaced the original manual processes. The first survey Tefft built was the Quabbin Boat Seal Appointment and Decontamination Survey. Staff at the Quabbin Reservoir Visitors Center use it on desktop computers to set boat inspection and decontamination appointments, while Quabbin Watershed rangers use it on iPads to record critical details, such as regulatory requirements for each boat and motor, during the on-site appointments. Next, Tefft built the Quabbin Boat Seal Program—In/Out Survey. Boat Launch Area (BLA) staff use this survey to check in boaters who have an inspection seal and sign them out with a new seal when they leave the water. The two surveys capture all the data DWSP needs to ensure that the Quabbin Reservoir remains contaminant-free, including each boat owner’s name and contact information, the boat registration number, the date of the decontamination, and the date and time of every launch. When Boat Launch Area (BLA) staff submit a Quabbin Boat Seal Program—In/Out Survey, it automatically triggers the Tag_InOut_Flow in Microsoft Flow, which sends the data to a master spreadsheet. To get the survey-captured data to automatically flow into other systems, Tefft used the Survey123 Connector for Microsoft Flow. From the Quabbin Boat Seal Appointment and Decontamination Survey, the Convert Time Zones action is triggered to automatically detect the appointment date and time, adjust to the correct time zone, and create an end time to reflect a 20-minute duration. The Create an Event Flow is automatically triggered as well, which makes a Google Calendar event. Now, staff use the Google Calendar to see all the appointments for scheduled decontamination days, which eliminates the need to print out each day’s itinerary. 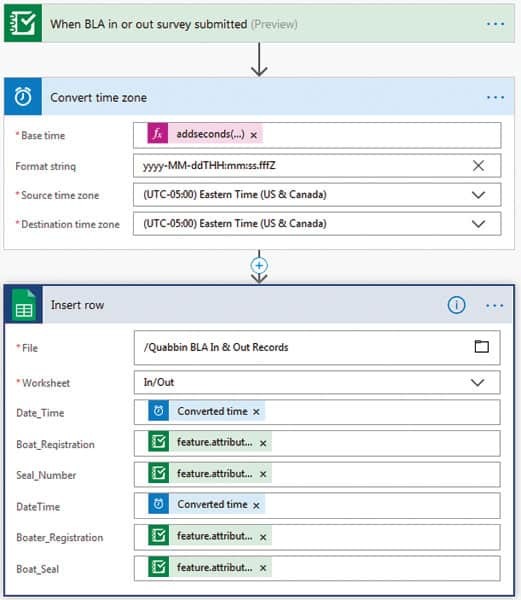 When BLA staff submit a Quabbin Boat Seal Program—In/Out Survey, it automatically triggers the Tag_InOut_Flow in Microsoft Flow. This sends the data to a master Google Sheet that BLA employees, staff in the environmental quality section, and Quabbin Watershed rangers use to monitor boat activity on the reservoir for any given day. Having this data available in real time allows watershed rangers to know who is on or off the water at all times, satisfying a long-standing need. Through Flow actions, the Download Survey123 Data Python script, and an R script, all the data from both surveys is automatically pulled into the master boater database, a repository that contains records for more than 2,300 boats. Having this information automatically entered into the database ensures better data quality and near real-time information. 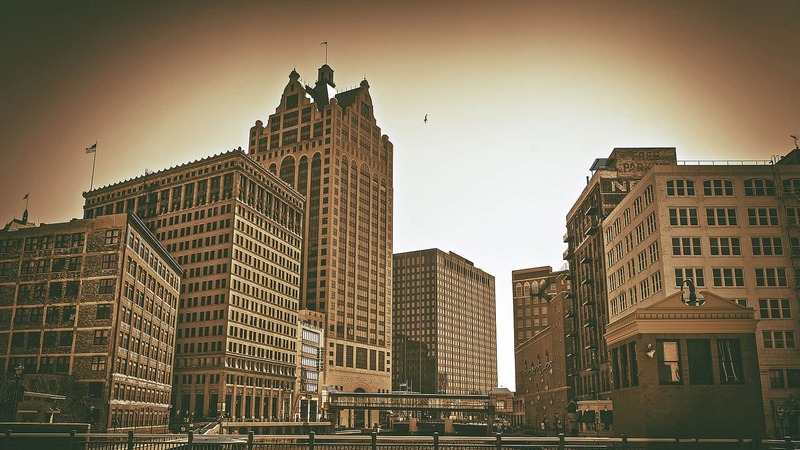 Additionally, the new workflows for digitally collecting the data with surveys and automating the flow of data throughout DWSP’s systems reduce the annual number of labor hours by 72 percent. 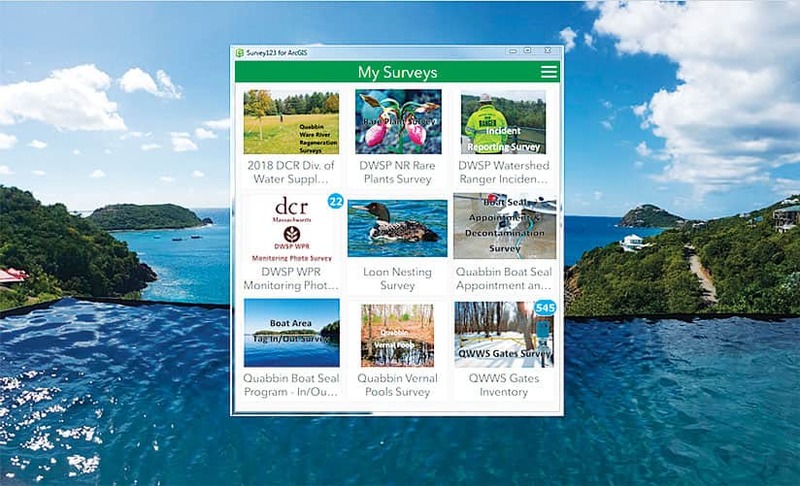 Using Survey123 and the Survey123 Connector for Microsoft Flow to digitally transform the manual workflows has enabled DWSP to realize a 137 percent initial-year return on investment in labor costs for the boat inspection program. All stakeholders now benefit from having accurate, complete, and up-to-date boat and boater data readily available at any time. “Overall, using these surveys with the Survey123 Connector for Microsoft Flow is helping improve the quality of the boat/boater database to ensure the Quabbin Reservoir’s water quality is being maintained at the highest possible level,” concluded Tefft.